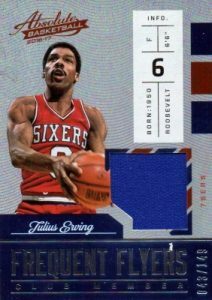 A regular product in Panini's NBA arsenal, 2016-17 Panini Absolute Basketball largely offers a similar selection to 2015-16. Hobby boxes again promise four total hits, including autographs or relics. 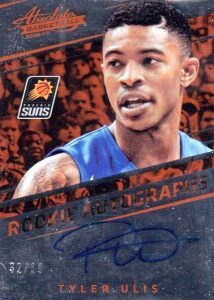 Adding to the base set are Rookie Autographs, which are signed on-card, for the notable draft picks from the 2016 class. Also focusing on the first-year players, the Draft Day Ink inserts are hard-signed, as well. They feature an image from the day the rookies officially joined their NBA team. 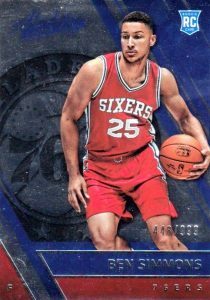 Moving to the veteran and retired stars, 2016-17 Panini Absolute Basketball gives props to the older players with Heroes Autographs and Marks of Fame. Numbered to 75 or less, the inserts showcase on-card signatures for options like Kobe Bryant and Bill Russell. 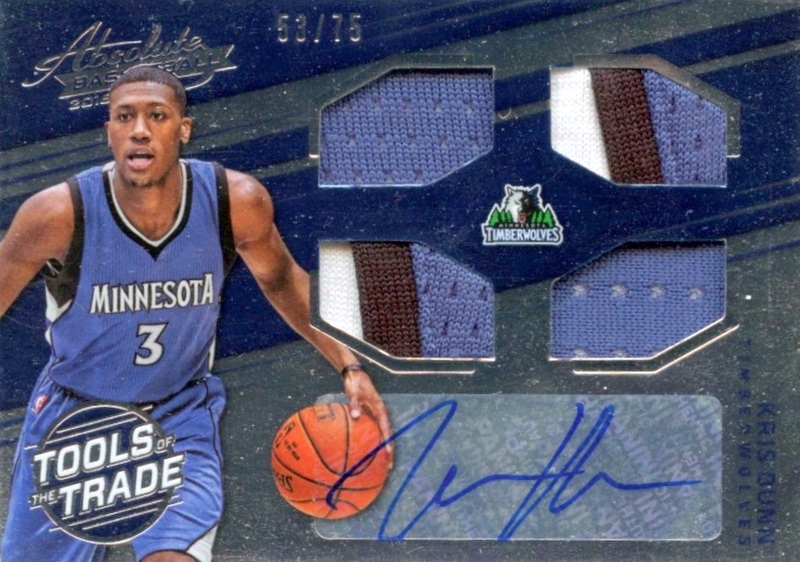 Acknowledging the memorabilia side of the brand, 2016-17 Panini Absolute Basketball contains several familiar insert lines dedicated to relic pieces. Tools of the Trade Rookie Materials returns in Single, Dual, Triple, Quad, Six Swatch and Jumbo versions. These inserts include relics such as jerseys, hats, socks and basketballs. Frequent Flyers Materials and Freshman Flyer Jumbo Jerseys honors the players who spend much of their time above the rim. The memorabilia cards also feature Prime and Tag parallels. Dropping one per case, Glass inserts offer a limited non-hit card to chase. 2016-17 PANINI ABSOLUTE DEMETRIUS JACKSON RC JERSEY AUTO 49 CELTICS ! PARALLEL CARDS: Spectrum Gold #/10, Spectrum Black 1/1. 59 cards. Serial Numbered #149. PARALLEL CARDS: Prime #/10 (*Cards #46 - #/5, 51- #/2). No Prime cards for #16, 17, 30. PARALLEL CARDS: Prime #/10 (*Cards #5, 14 - #/5). 39 cards. Serial Numbered #/75. 38 cards. Serial Numbered #/75. PARALLEL CARDS: Prime #/10 (*Card #1 - #/5, 23 - #/8). No Prime card #20, 21. PARALLEL CARDS: Prime #/10 (*No card #28). 19 cards. Serial Numbered #/149. 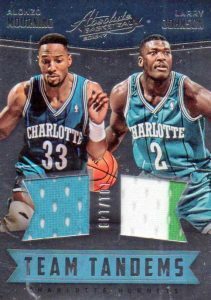 PARALLEL CARDS: Prime #/25 (*Card #18 - #/5). PARALLEL CARDS: Prime #/10 (*No card #9). 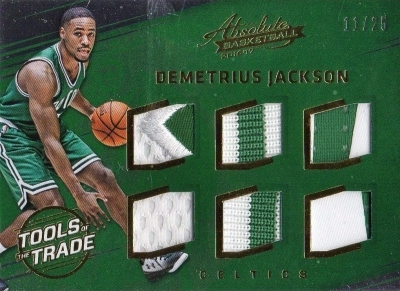 JUMBO PARALLEL CARDS: Prime #/25, Patch #/10. DUAL RELIC PARALLEL CARDS: Dual Relic #/149, Prime #/49, Patch #/25, Tags 1/1. TRIPLE RELIC PARALLEL CARDS: Triple Relic #/149, Prime #/25, Patch #/10, Tags 1/1. QUAD RELIC PARALLEL CARDS: Quad Relic #/125, Prime #/25, Patch #/10, Tags 1/1. SIX SWATCH RELIC PARALLEL CARDS: Six Swatch #/75, Prime #/25 (No card #3), Patch #/10 (No card #3), Tags 1/1. 33 cards. Serial Numbered #/75. 31 cards. Serial Numbered #/15. 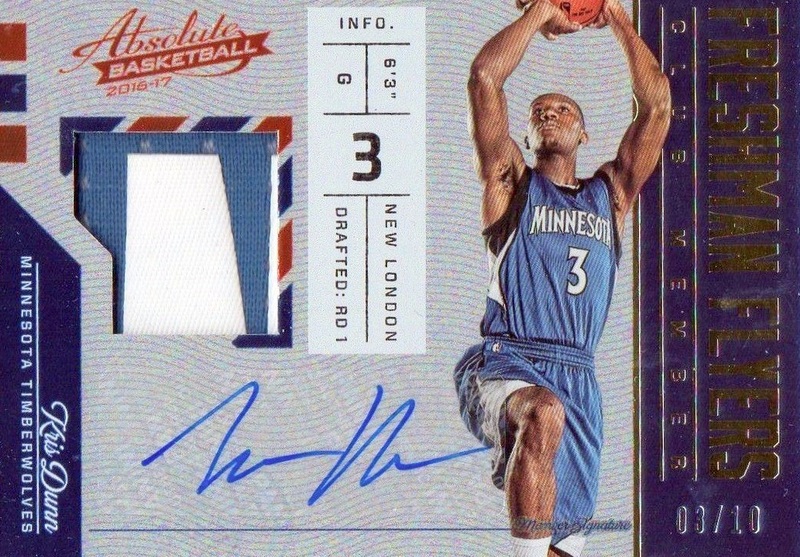 Shop for 2016-17 Panini Absolute Basketball hobby boxes on eBay. You only get 1 Auto out of the 4 hits in a box but the memorabilia are strong and there are some nice patches. Seems to be one of the better mid range options. Broke 2 packs and got an Iverson Jersey/99 and Archie Goodwin auto/jsy/99 and a redemption for a Brandon Ingram glass case hit insert. Not back for 40 bucks.